Prime 20 acres has been owned by current family since 1977. Nice mix of evergreens & clearings located in desirable northwest of Goldendale area. Power and access road bordering both south and west lines will save major dollars. Great for horseback riding. Timber company land in vicinity. Adjacent Lot 14 available @ $75, 000, mls #19045369. 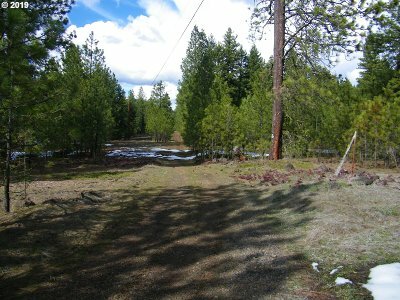 Lot 13 & Lot 14 package price $150, 000, mls #19188306. Copyright © 2019 RMLS. All rights reserved. Information deemed to be reliable but not guaranteed and should be independently verified. The data relating to real estate for sale on this website comes in part from the Internet Data Exchange Program of the RMLS™ of Portland, Oregon. Real estate listings held by brokerage firms other than Coldwell Banker United Properties are marked with the IDX logo and detailed information about them includes the name of the listing brokers. Listing broker has attempted to offer accurate data, but buyers are advised to confirm all items. Information last updated on 2019-04-19 20:08:07. Some properties which appear for sale on this website may subsequently have sold or may no longer be available..